Google Is Celebrating 19th Birthday And Invite You To Explore 19 Suprise. 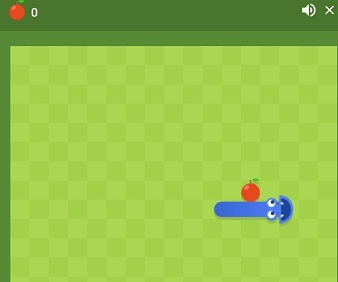 A Brand New Easter Egg: Snake Game Also Added. To Explore Or Access Just Type “Google Birthday Suprise Spinner”. Click To Stop Spinner. At The Point Where Spinner Stop, You Will Be Able To Access One Of Suprise Out Of 19. Click To Open Or Spin Game. I Spin It Three Times, At First Attempt There Was A Pony Game Like Google Dinosaur. In 2nd Attempt, There Was A Tic Tac Toe Game. 3rd Spin Takes Me To Chrome Music Lab. There Is A Solitaire Game Also In Spin Surprise, But You Can Access It By Searching “Solitaire” On Google. 1 Minute Breathing Excercise – Simply Search Breathing Excercise On Google And Start Playing. Breath In, Breath Out. There Is A Scoville Game Also, Click Here To Play It. Another Suprise Is Of “Hip-Hop” Where You Make Your Own Sound. You Can Access It By Clicking Here. A Valentine Day Game Also Added In Spinner Surprise Which Is Similar To Bounce Ball Game In Which You Move On, Jump To Tackle Obstacles. Access It Now. Easter Egg Of Quiz Is Also Added Just Search Earth Day Quiz On Google And Start Quiz. The New Easter Egg Which Recently Added Is Of Snake. Type Snake In Google Search Box And Search For It. You Will Be Able To Play Snake Game. Street View Treks: Galapagos Island Is Also Included In Spinner Surprise. Access Now. Pac Man Game Which Is Also An Easter Egg Also Added. Just Search For Pac Man And Play Pac Man Game On Google. Google Spinner Surprise Also Includes A Cricket Game Which Was The Doodle To Celebrate ICC Champions Trophy. You Can Play That Cricket Game By Clicking Here. Animal Sounds Which Is Also An Easter Egg Also Included In The Surprise Spinner. Just Search For Animal Sounds On Google And You Will Be Able To Listen To Almost All Types Of Animal Sounds. There Is Another Game In Surprise Spinner Is To Hit The Star With A-Rod By Clicking Mouse Key. Play Now. Another One Is A Halloween Game In Which You Have To Defeat Ghost By Drawing On Screen. Click Here To Play.